Today, voters in Wisconsin have two critical statewide races, Democrats look to nominate their candidate to face Gov. 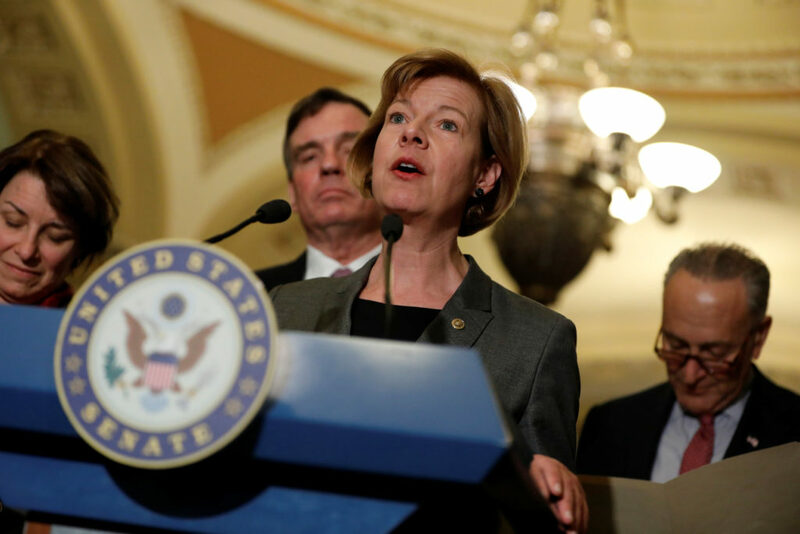 Scott Walker, and Republicans will pick their nominee to run against incumbent Democratic Sen. Tammy Baldwin. In neighboring Minnesota, Democratic frontrunners are facing unexpected hurdles in the final days of their primary campaigns as Republicans hope to gain seats in the historically blue state. Voters in Vermont and Connecticut are also headed to the polls, picking nominees for governor’s races. Eight Democrats are vying for the party’s gubernatorial nomination. Tony Evers, the state’s public school superintendent is believed to be the frontrunner, though polling is scarce. Mahlon Mitchell, president of Professional Fire Fighters of Wisconsin and former state assembly member Kelda Helen Roys are also expected to be competitive. Mitchell earned an endorsement from California Sen. Kamala Harris, while New York’s Sen. Kirsten Gillibrand has put her weight behind Roys. 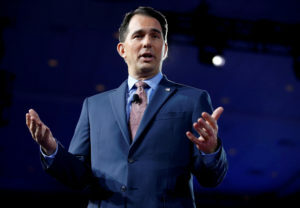 Wisconsin Democrats have spent years battling Walker’s anti-union sentiment, but he survived a recall election in 2012 and won reelection in 2014. This year might be different. Walker was one of the first Republicans to ring the alarm for his party back in January when a Democrat flipped a deep red legislature seat in rural Wisconsin, calling it a “wake up call” for Wisconsin Republicans. Plus, Walker’s approval rating has plummeted since his failed 2016 presidential bid, and questions still surround his Foxconn deal, which proponents argue will bring more jobs to the state. In the other notable statewide race, Republicans are trying to knock off first term Sen. Tammy Baldwin, but a bitter primary will put the eventual winner in a weak starting position heading into the general election due do the intra-party divisions. State Sen. Leah Vukmir faces Marine Corps veteran Kevin Nicholson in a race where both have battled to prove who is the “Trumpiest.” Nicholson has been hit for being a former Democrat, while Vukmir is accused of not fully supporting President Donald Trump when he first launched his presidential campaign. Still, Baldwin appears to be safely cruising to her second term; polls show her up at least 10 points against either Republican. Elsewhere in Wisconsin is the race to fill House Speaker Paul Ryan’s seat in the state’s 1st District. Despite viral fame and the subsequent fundraising haul, iron worker Randy Bryce has steadily lost ground to school board member Cathy Myers as Bryce’s past brushes with the law — mainly his failure to pay child support and a 1998 DUI – have caught up with him. Republican Bryan Steil has Ryan’s endorsement and will likely clinch the nomination. GOP Gov. 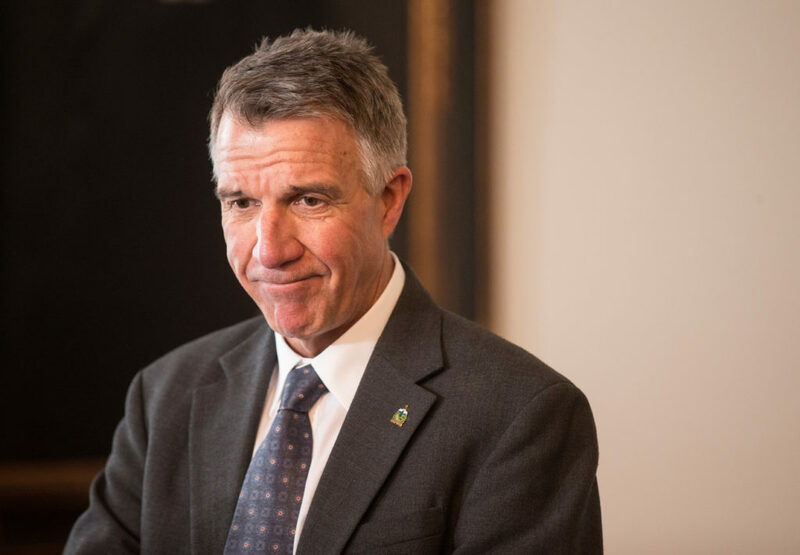 Phil Scott faces a primary challenge from small business owner Keith Stern, but will likely prevail, despite statewide opposition to a bill he signed earlier this year that strengthens gun regulations. On the left, Ethan Sonneborn, a 14-year-old boy, is running against former executive Christine Hallquist, dance festival director Brenda Siegel and environmental activist James Ehlers. Hallquist is vying to be the first openly transgender nominee for governor of either party. Overall, Scott is a popular governor and will likely win reelection. Meanwhile, Sen. Bernie Sanders is up for reelection, and is also expected to cruise to victory. Democratic Gov. Dannel Malloy decided not to run for reelection, giving Republicans an opportunity to turn the governor’s mansion red. Malloy is departing office with a dismal approval rating, and Republicans are hoping to capitalize on the slowed-down state economy to persuade voters to vote red. For the GOP, Danbury Mayor Mark Boughton has a slight lead over business executives Bob Stefanowski and David Stemerman. Democrats will choose between Ned Lamont – who beat former Sen. Joe Lieberman in the 2006 Democratic primary, and Bridgeport Mayor Joe Ganim. The land of 10,000 lakes is becoming the land of 10,000 scandals, as leading Democratic candidates for governor and attorney general face allegations of misuse of government employees and assault allegations. In the last week before the primary, attorney general and gubernatorial frontrunner Lori Swanson has been accused of using her office for political work by former employees. 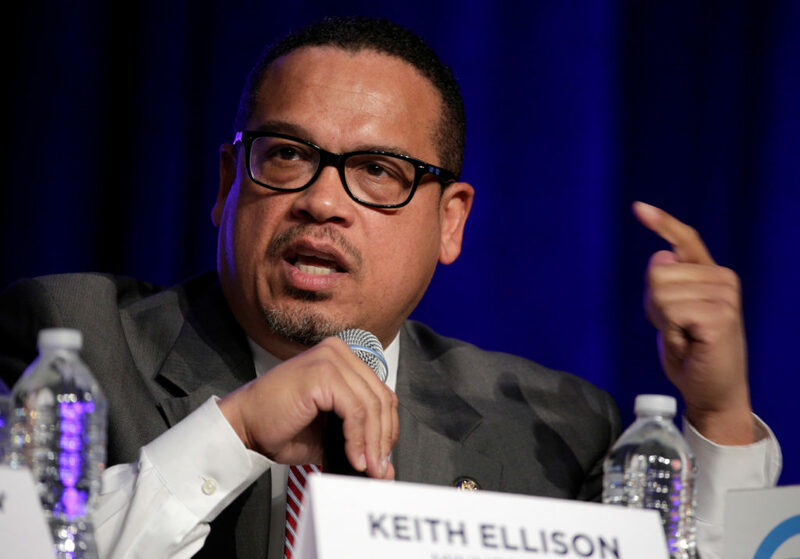 Meanwhile Keith Ellison, a congressman and vice-chairman of the DNC, has been accused of physically assaulting an ex-girlfriend. Both deny any misconduct. Congressman Tim Walz and Minnesota state Rep. Erin Murphy are also running in the Democratic primary. Walz has trailed Swanson slightly in the polls, but the emerging scandal may give him late momentum at a key point in the campaign- Election Day. On the right, former Gov. Tim Pawlenty and former state Rep. Jeff Johnson are vying for the GOP nomination, though Pawlenty is expected to easily win. However, in an environment where conservatives are rewarded for allegiance to the President, Pawlenty’s past criticisms could hurt him come November. Minnesota also has one of the few pick-up opportunities for House Republicans. They’re eyeing Walz’s rural first district, which supported Trump by a wide margin in 2016. Democrats are running a moderate Iraq war vet and former Obama administration official named Dan Feehan. There are two Republicans running, state Sen. Carla Nelson and Jim Hagedorn, a former Treasury Department official. Both are fully supportive of Trump and his policies.